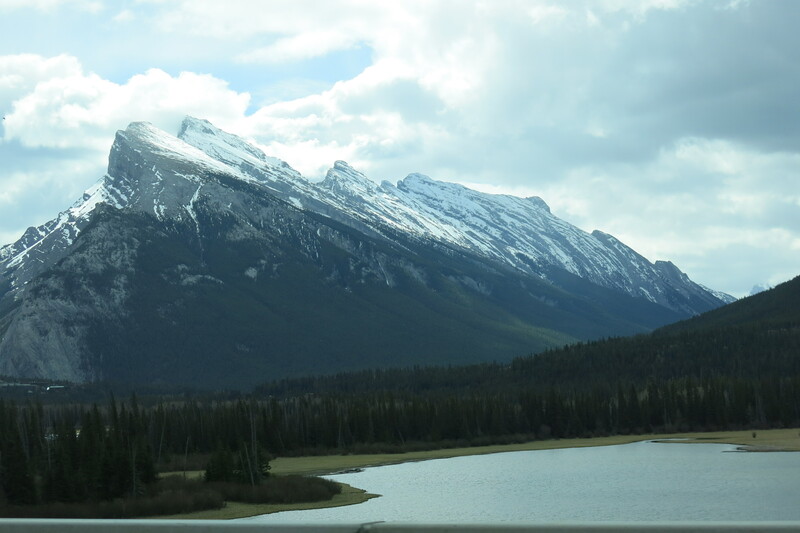 I’ve just returned from ten days in the Rockies—ten days of feeling small. 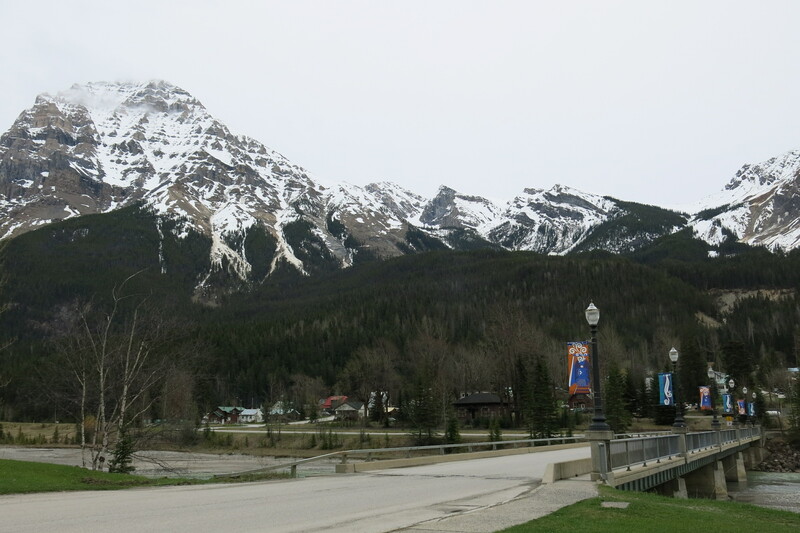 Majestic mountains towered over the towns where we stayed and lined both sides of the highway. A road was closed because of an avalanche. I loved the mountains, loved running up the mountain trails in the early morning and discovering the vista at the top. But as much as I’ve thought and written about smallness, there were moments on this trip when the exterior landscape imaging my interior one left me unsettled by my smallness. The trip took place just after graduation. I’ve been slowly working away at my Master’s for eight years—the last few of those spent writing a book. I’ve learned many things, chief among which is my smallness, and my lovedness in my smallness. And now? This is where that learning gets tested, here where I step out of studies and into the real world. Here is the place for trust, here where I face the world and feel my smallness and vulnerability. Sometimes, to be honest, it’s terrifying. But as I settled into my window seat yesterday on the flight home and let my heart and mind run back over the trip, I realized something important: my fear was not the result of facing my smallness, but of forgetting that I’m cherished and tended in my smallness. Fear accompanies not the mere awareness of smallness, but the attempt to carry responsibility meant for Someone bigger. The plane rose through the clouds, the wind shaking our small plane and reinforcing my sense of smallness. In this world that so often equates bigger with better, it’s not hard to equate smallness with insignificance. Small is frail, small is vulnerable, therefore small is insecure and out of control and scary and to be avoided or upgraded or supersized. But as I panned back over the trip, two moments stood out, inviting me into a truer view of my smallness. The first came when we climbed the stairs at the Banff Cave and Basin National Historic Site. 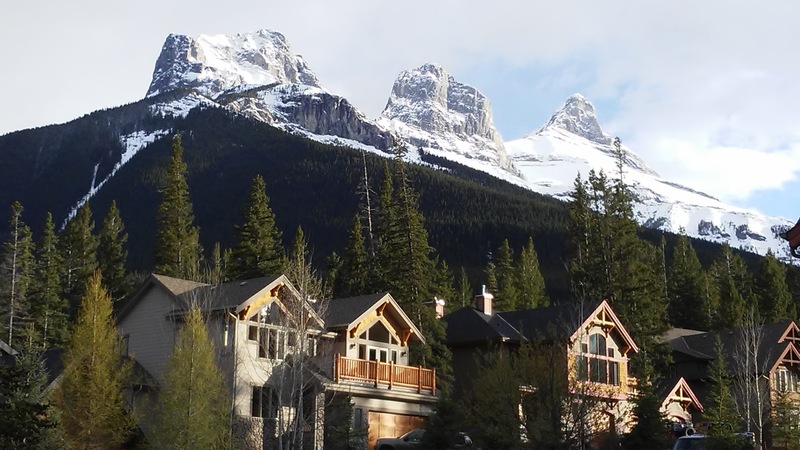 At each landing, we leaned over the railings and peered into the pools and streams, searching for the apple-seed sized Banff Springs Snails that now survive only in this one place in the world. Each time we were disappointed. 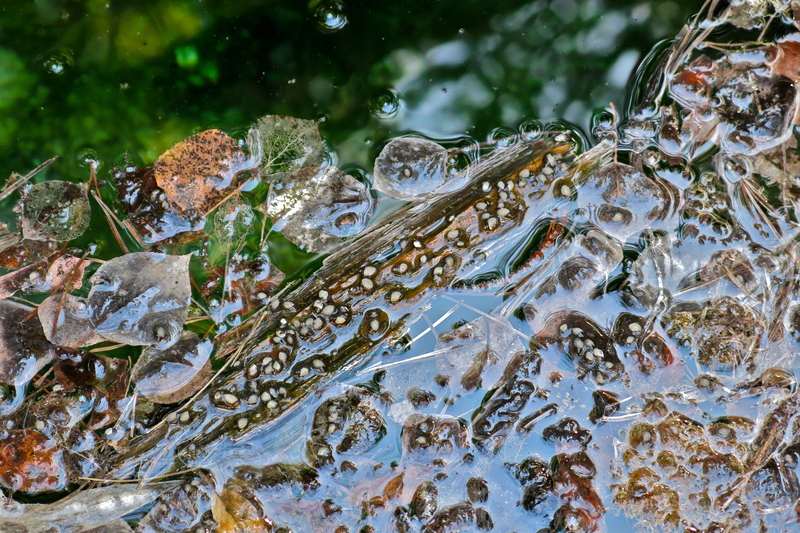 And then, at the final stop, we saw them clinging to dead leaves and bits of wood in a partly shaded pool. The joy I felt was more than the joy of finding something we’d been searching for. For a moment the curtain lifted and I sensed myself on holy ground, feeling for an instant the worth of these tiny creatures. Their smallness and vulnerability didn’t negate their significance; it made them candidates for special attention and care. 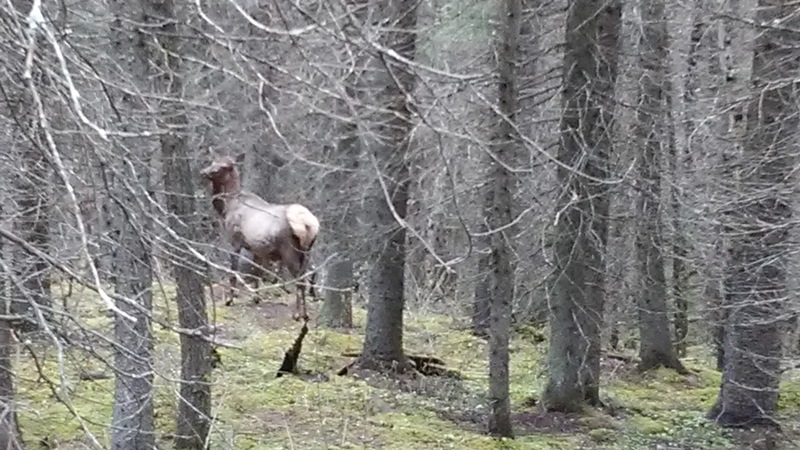 The second invitation into a truer view of smallness came through an encounter with an elk. Two consecutive days we saw her on our morning walk as she lingered in the same patch of woods, separate from the herd and moving slowly. She lifted her head to look at us but didn’t run away. Was she old? Sick? But she looked too plump to be ailing. Then we learned that when the time of their delivery nears, mama elk leave the herd. The third day we did not see her. Was she in labor? Had her calf been born? We’d been running on that trail because the trail on the other side of town was closed while a grizzly feasted on the carcass of an elk. Would this mama and her calf survive this vulnerable time of their lives? “Do you know when the mountain goats give birth? Comfort is found not in overcoming our smallness, but in knowing the One who sees and tends us in our smallness. Tiny snails, big elk, and we humans in between—all as frail and vulnerable as wildflowers that bloom for a day or two and then wither (Isaiah 40:6-7). And all of us loved and tended in our frailty (Psalm 104). Photos #1, 3, and 6 by Marny Watts.